Lately my wife and I have been trying to lose a little extra weight and look even better by getting lean. We are going to Cancun in January for a friend’s wedding and we want to look good for each other. However, we need to learn how to stop craving sweets! Seriously, the need for sweets is killing our progress. This is our current motivation, and we are using it as a way to make better decisions. The rallying cry of “Cancun!” is often heard throughout our apartment when doing pull-ups, drinking a big glass of water, or trying really hard not to make brownies. Whether it is running to get ready for Frisbee season, or lifting at the gym in order to reduce stress, eating healthy and exercising is extremely important for us. However, when it comes to sweets, we both struggle big time. We often talk about the fact that if we would have cut down on sugar and avoided eating so many desserts then we would both be crazy fit. As is, we are in pretty good shape, but there is definite room for improvement. This article will share a little bit about our current struggles and our attempts to win the day. It is never easy to stop doing something that you have been doing since you were a child, but anything can be reversed. Never stop believing that you can do it. It is always possible to jump back on the train heading true north. Don’t wait any longer to hop aboard and for the love of Pete read this whole article. But Why Should You Avoid Added Sugar? Avoiding sugar is something we all know we should do, but it is hard because it is in basically everything. Stopping our craving of sweets is even harder because sweets contain a bunch of sugar! But why should we avoid sugar? Well, sugar has been shown to do the same thing to the brain that crack cocaine does and an Oreo can be just as addictive. Once we are addicted, we crave it. Once we crave it, we eat too much of it. And once we eat too much we are prone to develop all kinds of diseases. Obesity and diabetes to name a few. Getting over a sugar addiction should be our number one priority, but damn is it difficult. Just like breaking any addiction, reducing sugar intake is extremely difficult. You have to first learn where to find sugar, how to avoid it (extremely difficult in the American diet) and then consistently eat healthier foods. Here are some tips to reducing your insatiable need for your next chocolate fix. But how do we avoid eating junk? How the heck do we cut down on sugar and reduce our cravings for sweets? The answer involves a lot of hard work and a lot of failure. 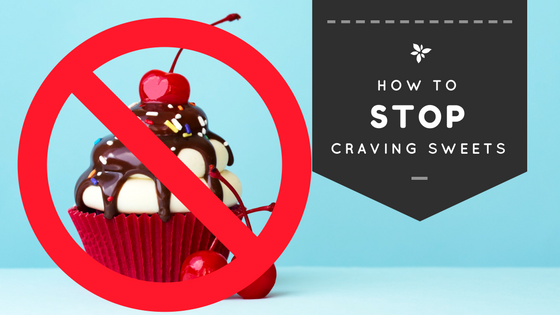 Here are three options that you can utilize to stop craving sweets. I have tried all of these options, and I while believe that each person must find their own path to success, there is a clear victor for sustained results. The number one option to reduce sugar cravings is to keep on eating junk food, candy, and sweets. If you keep eating unhealthy food you can just indulge every time you get a craving. It isn’t rocket science that this is definitely not a good decision, but you are indeed free to do what you please. This method means not changing any habits and doing what you have always done. Don’t think for a second that you don’t have the capacity for change, because that is false. You have the capacity for so much more than you ever thought possible. 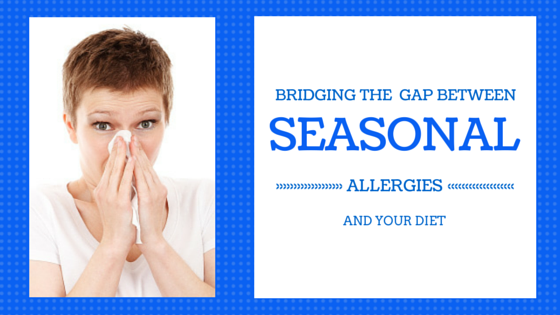 Finding replacement foods is a significantly better option. Munching on an apple or snacking on almonds is one of the best ways to reduce sugar cravings. These foods are not only healthy but they taste great too. You might not believe me, and at first you will think I am crazy. If I went back to my older self and said “Dude just eat an apple instead of that Milky Way” I would have laughed myself back to the future. It just doesn’t jive with our current sensibilities that we can replace cookies, brownies, and Twix bars with celery with peanut butter, crackers and hummus, or a chocolate dipped bananas. In fact, here are 88 healthy snack alternatives. You don’t have to eat Cheetos to get your fix, and be honest, we have all looked at our fingers after eating Cheetos and felt like the King of the slobs. Let us turn from our slobby ways and learn to indulge on healthier. replacement foods. Your heart, mind, and waistline will thank you for it. This was not easy, and I won’t lie to you, pretty much every day was a struggle for the first three weeks. The amazing part? It did get easier during the last week. I had successfully phased out the incessant desire to eat a sweet after every meal. That longing was finally subdued. It wasn’t completely gone by any means, but it felt more, shall I say, tame. I could actually finish a meal and not want to run to a store and buyout the cookie aisle. Going for a month without sweets was incredible challenging, but I suggest you try it out for yourself. If nothing else, it will hopefully show you how many desserts you actually eat. Just think about it, anyone can go a month without dessert if they truly want to. If someone offered you a million dollars to do it, wouldn’t you? Of all these options, finding replacement foods is the most viable over the long term for reducing sugar cravings. It brings new healthy foods in for you to eat and in turn allows you to still feel satisfied. Using this method means you can still have bad foods every once in awhile, but because you are making slow changes to your diet, you will eventually work most of the unhealthy foods out and bring healthy foods in. This has proved to work for me to a certain extent, but I need to attack the problem with vigilance. Having sweets once in awhile is a good alternative to having them every day, but its still difficult to not over-indulge. When I went over a year without having soda, and just recently when I went a month without any sweets, my perspective was changed. Once you gain a better understanding of your relationship with food you will start to make better decisions in the long run. And guess what folks? The long run is what we are after anyways, making short term gains is good, but it is only the beginning. The only true way to lose weight and keep it off is sustained lifestyle changes over time. You can start to replace unhealthy foods with healthy alternatives and not even know you are doing it. When I grab an apple for a snack in the afternoon it is because I want to, not just because I think it is the right thing to do. It has taken me a long time to make these lifestyle changes, but I am very glad that I did. 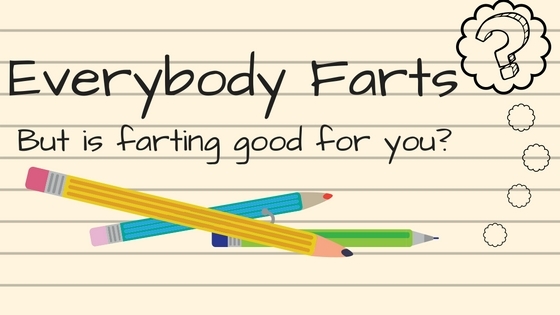 Creating this website, learning about high fiber foods, and winning small battles along the way has been incredibly rewarding, but I know the war is far from over. I could start to trend in the wrong direction tomorrow. I could drink a soda for each meal and have as much dessert as I want for the next month. I could put back every single pound that I lost and then some. But in the same way that I lost the weight, it would take some time before I lost it all. Again, the power of small changes is too incredible to ignore. Making small gains and making small lifestyle changes is the way to win the war against sweets and ultimately weight gain. So go forth young Padawan and replace those sugary snacks with fruit instead. Make each decision carefully and weight the consequences. Forge a brighter future for yourself by learning to say no to sweets and yes to healthy foods. NextNew Book Announcement: “Now What?” Plus First Chapter Free! 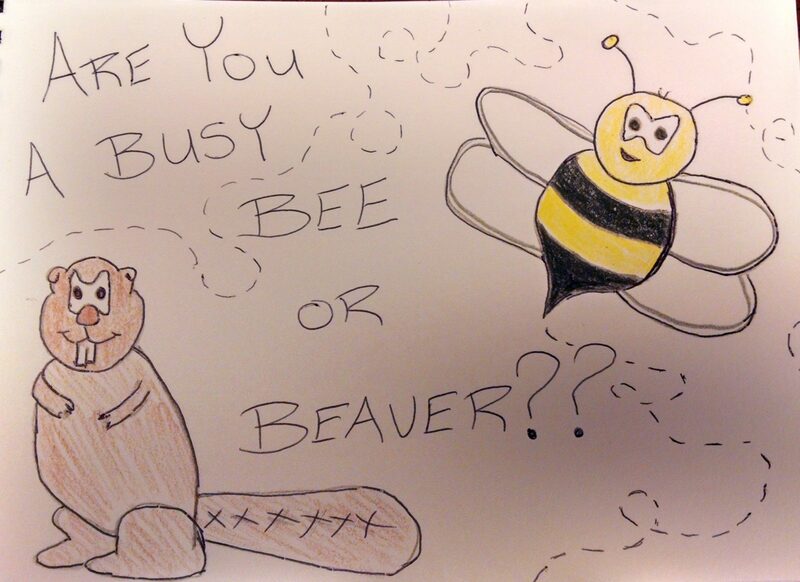 Stepping Up Your Game #2- Are you a Busy Bee or a Busy Beaver?